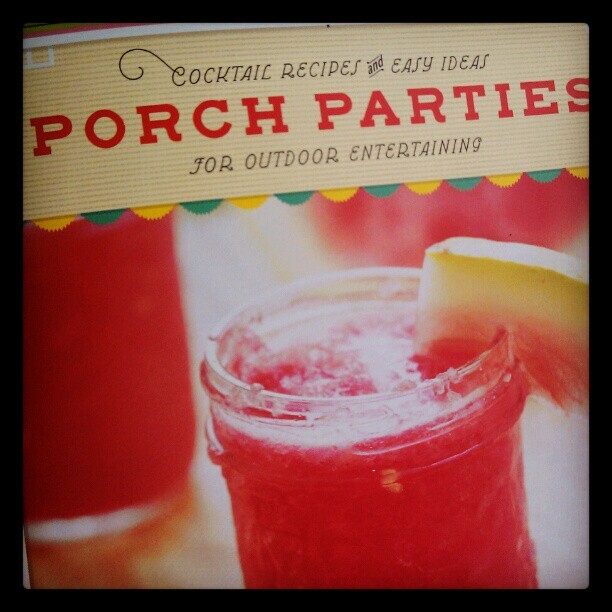 Recently while visiting Dutchmans Designs, a quaint little shop on the Georgia coast, I picked up Porch Parties by Denise Gee, a fabulous book containing cocktail recipes and easy ideas for outdoor entertaining. 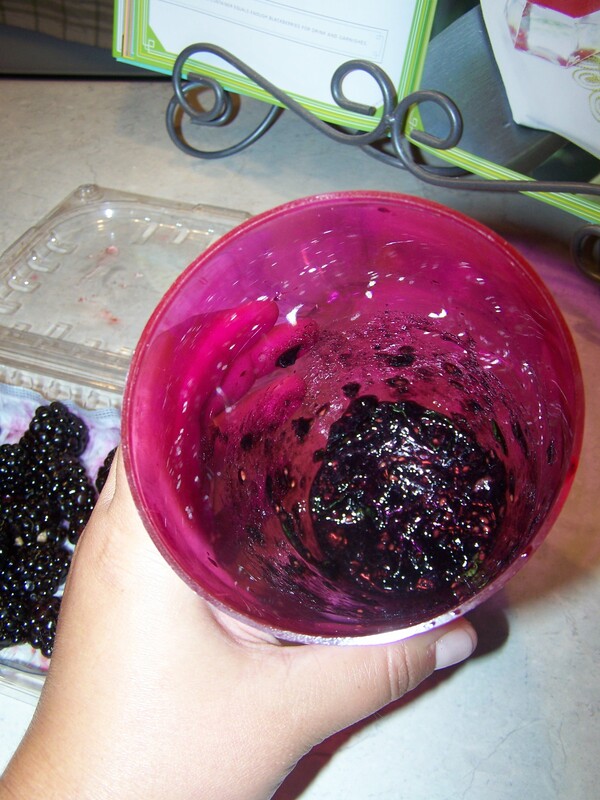 Right away, I wanted to try this Blackberry Smash. Made with my favorite fruit and refreshing ingredients like mint leaves and lemon juice, it’s definitely a keeper. You’ll need a cocktail shaker. 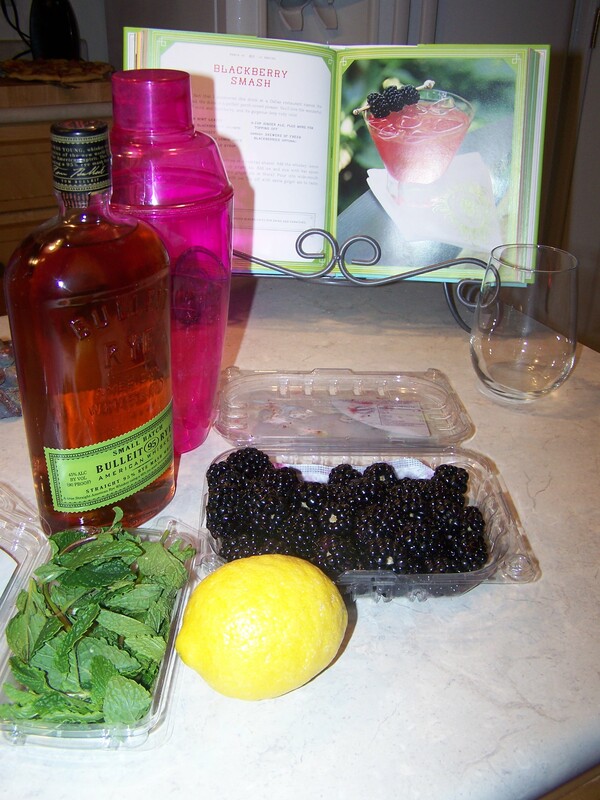 Muddle 16 fresh blackberries and 10 fresh mint leaves. If you don’t have a fancy muddle tool, just use a wooden spoon. Add rye whiskey, lemon juice, simple syrup and 1/2 cup of ginger ale. Then drop some ice cubes in and stir, don’t shake. Pour into a tall cocktail glass and top off with ginger ale to taste. 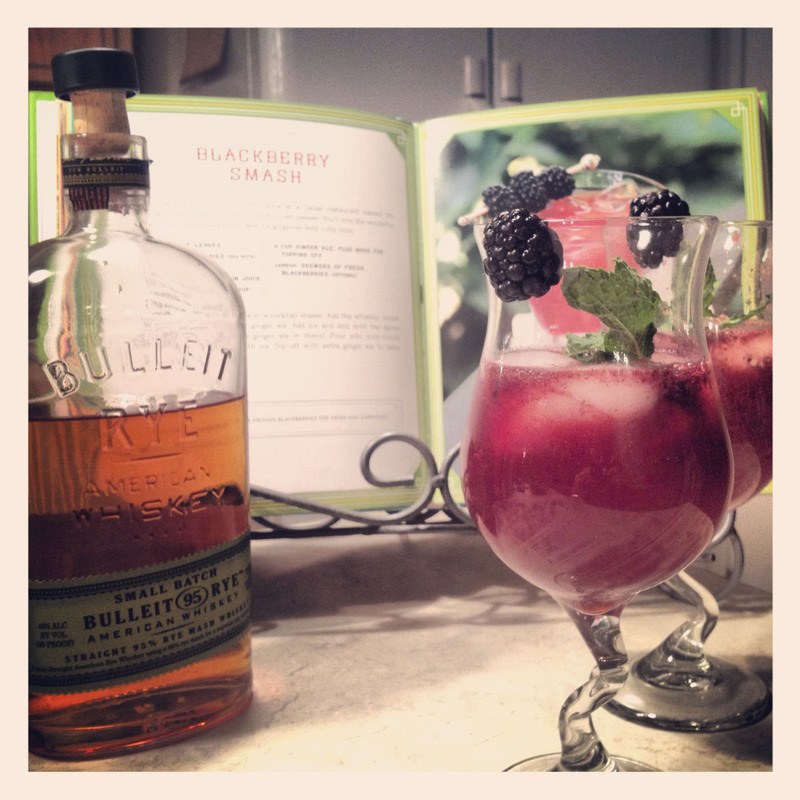 Garnish with blackberries and fresh mint. It’s cold and fruity, the perfect complement to summer. Me too! It’s got a lot of fantastic ideas in it and I love how everything about it is quientisentially Southern! Does shaking versus stirring affect the taste? Just picked a bunch of blackberries…what’s left after the cobbler will definitely be used for this! Lol! Awesome. I love picking blackberries! This is my new favorite drink. You won’t be disappointed!